Add another poker movie to the growing list that are in production as Ryan Reynolds is currently shooting Mississippi Grind…Jonathan Dimmig topped a massive 7,976-player field to win the second Millionaire Maker event, thus validating his risky career change…Phil Hellmuth has over a dozen WSOP victories, but it’s the near-wins that still haunt him. Let’s cover all of these stories more in depth in the Weekly Flop. The current Hollywood trend surrounding poker involves telling stories of young hotshots turning themselves into millionaires through online poker-related companies – only to lose it all later. Runner, Runner follows this theme while Daniel Tzvetkoff’s Alligator Blood story looks like it will play out the same way on-screen. We wouldn’t be surprised if Ben Mezrich’s recently released book, Straight Flush, which tells the story of the disgraced Absolute Poker founders, becomes a movie later on too. Anyway, Ryan Reynolds (Green Lantern, Just Friends) seems to be bucking the trend with a flick that he’s currently filming called Mississippi Grind. This indie drama tells the story of two Southern drifters who hit the road en route to a high-stakes poker tournament in New Orleans. Reynolds plays the poker player, Curtis, while he meets up with an in-debt gambler named Gerry, who’s played by Ben Mendelsohn (Killing Them Softly, Dark Knight Rises). The 2014 WSOP Millionaire Maker was a smashing success as 7,976 players entered the event, making it the second-largest live poker tournament in history. And 31-year-old MBA-degree holder Jonathan Dimmig navigated through this enormous field to win the event along with a $1,319,587 prize. Like many poker pros, Dimmig made a risky career move, choosing to leave the financial industry in pursuit of his poker dreams. And thanks to his Millionaire Maker title, the choice has definitely proven to be good. “One of the toughest decisions I ever made in my life. I said, ‘you’ve got to chase your dreams,'” he said. The second-place finish to Forrest marked the ninth time that Hellmuth has taken second instead of first in a WSOP tournament. 2011 was especially torturous for the 49-year-old as he had three runner-up finishes. 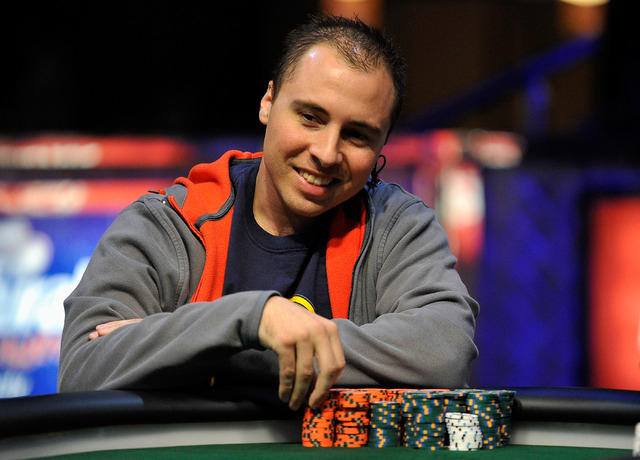 However, we can’t help but pointing out that he’s won more of these WSOP heads-up battles than he has lost. So perhaps if Hellmuth had played 1 hand differently, he’d have lost 4 or 5 bracelets too.